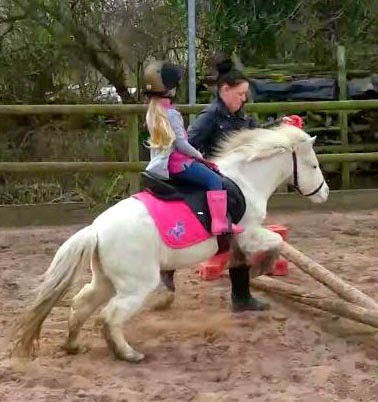 "We bought Buttons, a 10hh Welsh cross for my daughter Brooke when she was one. She is now four and wants to constantly jump and canter. It became clear that the saddle we had was not suitable as Brooke couldn’t keep her balance in trot or when jumping. Buttons was also uncomfortable and we struggled to get him into a canter at all, and when we did succeed, he was unable to maintain it and would fall back into trot. My sister bought a Solution saddle around two years ago and I saw the improvements instantly with her horse. She urged me to try a Solution saddle for Buttons as she was sure it would improve Brooke’s position and Button’s way of going. We decided to buy the pony size SMART NATIVE GP saddle. 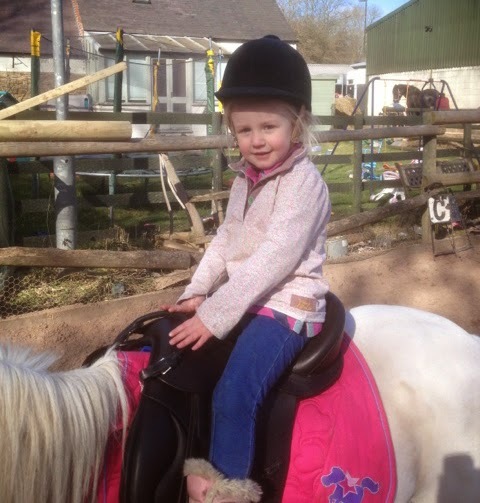 When the saddle arrived we were so pleased as it fits Brooke and Buttons beautifully. This saddle model can also be fitted to much larger ponies, so the investment will mean that Brooke will be able to ride in it for many years to come. I would recommend the SMART pony saddle for anyone with small children as we saw an instant and incredible improvement. Brooke and Buttons have never been happier. He is comfortable in his canter transitions - both pony and child are balanced and able to maintain canter. Brook now is so balanced in her rising trot that she can even feel the correct diagonal. I cannot thank Solution Saddles enough for the improvements in Brookes riding. I never realised how much a saddle can effect a child’s position - especially one as young as four!